If you’re looking to buy a new home in 2018 you’ll want to make sure you’re familiar with the new mortgage rules. A new minimum qualifying rate has been set, also known as the “stress test” which impacts uninsured mortgages (mortgage buyers with a down payment that is 20% of more of their home price). 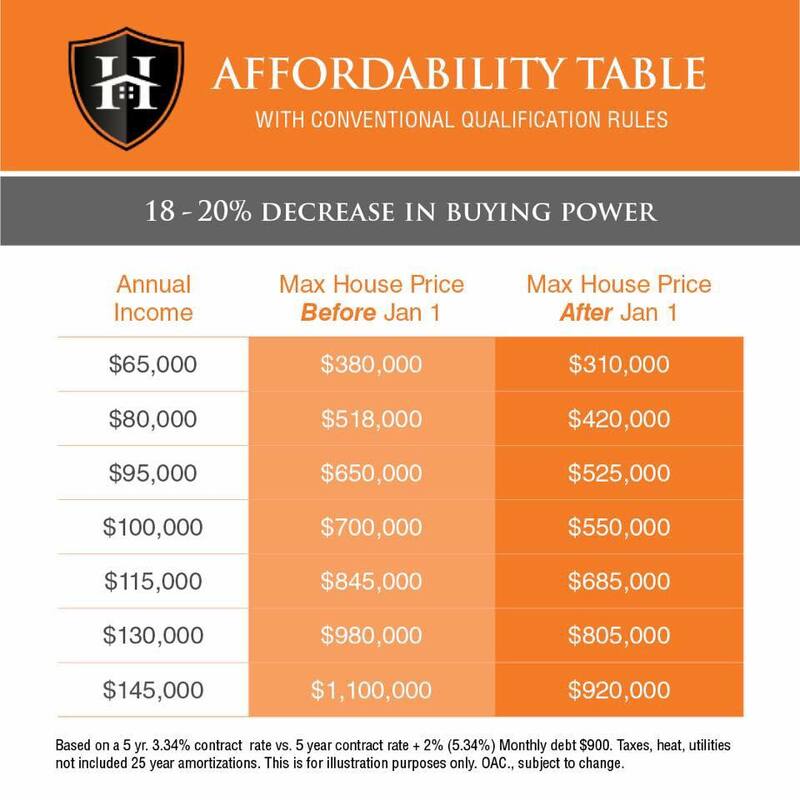 Potential home buyers wondering how their buying power has been affected by these changes can reference our mortgage infographic to help get a sense of what what their affordability will be based on income.